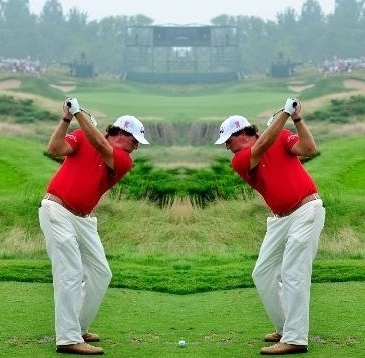 Four-time major winner and perennial world #2 Phil “Lefty” Mickelson is right-handed. So is 2003 Masters champion Mike Weir. And so, for that matter, is tennis great Rafael Nadal. Yet each of these guys has succeeded wildly at their respective sports playing from the sinister side. The truth, as it turns out, is more mundane – but at least as interesting. When Phil was first taking up the game as a wee lad in San Diego, California, he learned to swing a club by standing in front of his father and literally mirroring the elder Mickelson’s movements. 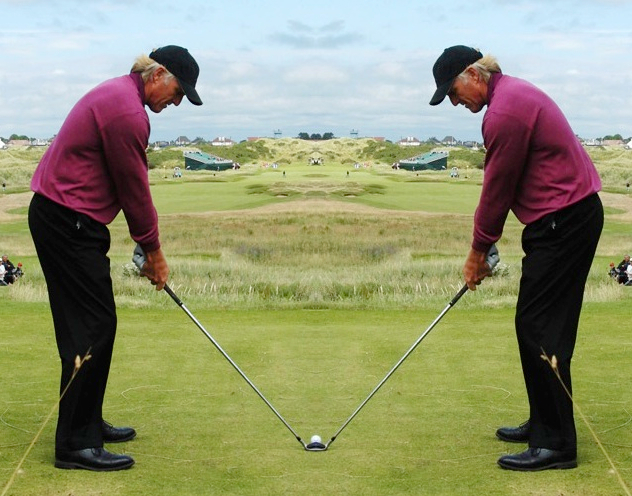 At some point they tried to turn him around, to swing the club like a proper right-handed little boy. But Phil was a stubborn cuss, and he would have none of it. So a “lefty” he remained, albeit only on the golf course. But did it make him a better golfer? 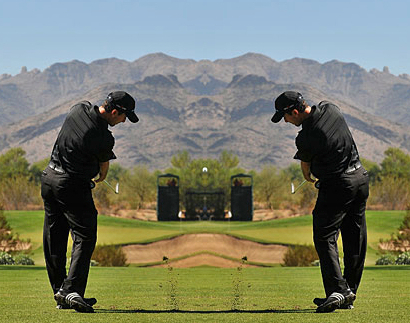 Mike Weir, being from Canada, has a different story. Like most young boys in the Great White North, Weir’s first love was hockey. A natural right-hander, Weir found he could swing a hockey stick more easily with his left hand low. So that’s how he played. It probably didn’t hurt that in hockey it’s helpful to have left-handed shooters playing on the left side of the ice [hockey players, am I right in this? ], putting left-handed players in greater demand. “Switch-hitting” the other way (lefties playing righty) is more common still. From what I’ve read, some 15 percent of the population at large is left-handed, only about 10 of golfers overall play that way. This is not likely due, however, to thinking they’ll have an advantage that way; it’s simply because there are a lot more right-handed clubs sitting around in basements and garages. Often, lefty boys and girls are forced to learn on whatever equipment they can find – which far more often than not is right-handed. So certain questions remain unanswered: What role, if any did “the big switch” play in the success of Mickelson and Weir? (Or Norman and Strange, on the other hand.) Would they, could they, have succeeded as righties? Given he success of these four great champions, is a golfer potentially better off learning to play from the opposite side? What do YOU think? Is there a potential advantage to be had playing from the opposite side? And if so, would it have to be learned from the start – or could an old dog potentially learn this new trick?